Getting a transmission fluid change and transmission flush is important maintenance for your vehicle’s health – that’s why vehicle manufacturers recommend regularly scheduled transmission service. If you keep up with your transmission maintenance, your car can run newer, stronger longer. CARMAX’s expert auto technicians can take care of all your vehicle transmission needs and keep your car functioning at peak performance. 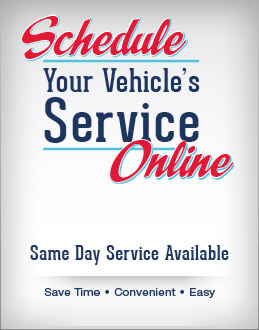 When you need a transmission service – or anything else – bring your car, truck or SUV in. The CARMAX Fixed Right Service Guarantee We service our vehicles right the first time – that’s the CARMAX AUTOCARE way, and our guarantee. Got Questions About Transmission Repair? We’ve Got Answers When you need answers about transmission repair, battery replacement, and vehicle maintenance, CARMAX AUTOCARE has all the answers you need. A transmission fluid change with a transmission filter change, including the transmission fluid specifications recommended by the manufacturer of your vehicle. Whatever your car or truck mileage, Firestone will service your transmission according to your vehicle’s manufacturer recommendations. With any transmission service, Firestone also provides a free courtesy check, where we inspect all of your car’s major operating systems. By keeping up with the your vehicle’s recommended transmission fluid change schedule, you can keep your transmission in good working order and decrease the likelihood of costly transmission repairs down the road. In many cases, a transmission fluid exchange is due every 30,000 miles or 2 years. CARMAX AUTOCARE offers manual and automatic transmission flush services. During a transmission fluid exchange, our technicians will remove virtually all the old transmission fluid and replenish it with new transmission fluid. The transmission fluid exchange process differs between an automatic and manual transmission, but the end result is the same: a more efficient transmission, better fuel economy and the avoidance of transmission repairs caused by neglected transmission fluids. Call or come into our workshop today for a transmission fluid change… and read on to discover how transmission fluids work. The type of transmission fluid used in manual transmission systems will largely vary depending on the make, model, and specifications outlined in the vehicle owner’s manual. Manual transmissions may use manual gear oil, or transmission fluid specific to each vehicle make and model. Another thing to look out for is a transmission fluid leak. While the transmission fluid in manual transmission vehicles doesn’t tend to naturally break down on its own, loose parts or impact from road debris can cause leaks and low fluid levels. Because automatic transmission systems generate a lot of friction and heat with regular use, the fluid in automatic transmission vehicles will naturally breakdown and dissipate over time. For this reason, owners of most automatic transmission vehicles should check their transmission fluid levels regularly to make sure fluid levels are not low. The transmission in your vehicle has hundreds of interconnected parts that are always moving, rubbing, heating up and interacting with other internal and external components. Because there are so many parts in the transmission – and because each of those parts is continually exposed to friction and heat – it is natural that your transmission components will experience more wear and tear than other, simpler, mechanisms in your vehicle makeup. Transmission shifting delays: Does your vehicle pause before moving when shifting from park? Are you experiencing any pause in forward motion when your vehicle is shifting into first gear, or beyond first gear? Is there a delayed vehicle response when you shift from park to reverse? Transmission slipping, grinding, or jumping during acceleration when the car is shifting gears. Car shaking at any speed. A burnt smell coming from under your hood. Clunking, screeching or whistling sounds coming from the vehicle. Transmission fluid on dipstick is cloudy, thick or foul smelling. Manual transmission gear shifter is physically hard to move or won’t go into gear. Manual transmission vehicles need transmission fluid to keep gears lubricated and to prevent grinding. Automatic transmission vehicles need transmission fluid to create the hydraulic pressure that actually powers movement within the transmission. Without the right amount of clean and debris-free transmission fluid, transmissions can overheat and essential gears can slip, surge, or become ground down, and – especially in the case of automatic transmissions – total vehicle failure can occur. In manual transmission systems, gear synchronizers – or synchros as they’re commonly called – are the transmission component that makes the gear you are about to shift into spin at the same speed as the gear you are shifting from. By having the two gears spinning at the same speed during the shift, gear synchronizers create a smooth, seamless shifting experience. Worn gear synchros are a common manual transmission problem, and if untreated, can cause transmission failure. A worn clutch is another common manual transmission problem. The clutch in a manual transmission system can become worn due to mechanical error if there is a hydraulic fluid leak in the clutch master cylinder, or by human error if the driver is frequently accelerating and shifting through the gears without releasing his or her foot from the clutch. This can burn up a manual transmission clutch quickly and will result in a clutch replacement service. Needle bearings are small, lightweight roller bearings that help prevent gears in the automatic transmission’s torque converter from grinding. If the transmission’s needle bearings become worn or sluggish you may hear grinding or brushing noises coming from your vehicle while the car is in motion. This sound can mean your transmission gears are moving inefficiently and being prematurely worn down. Because there are so many intricate parts in the transmission system, you don’t want to wait until there is a critical problem to have your transmission fluids changed, and your other transmission systems inspected. If you suspect you might be having a transmission problem, or if you just have a transmission maintenance question, a CARMAX AUTOCARE service professional will be happy to answer any of your questions. Come in or call our workshop today…. Transfers power from the vehicle’s engine speed to the wheels, which is called torque. Uses the engine’s power to move the vehicle forward or backwards. Enabling the car to shift gears – which allows the car to go a variety of speeds with different gear ratios. In a nut shell, it is the job of the transmission to turn the engine’s power (RPMs) into torque, which transfers to the wheels of the vehicle. For example, 1st gear is the shortest gear to get your vehicle moving. As you work your way up to 2nd, 3rd, and 4th gear, the gear ratios get taller. This allows your vehicle to go faster as the gears get taller, moving up to 5th gear and 6th gear, if your car goes that high. Some newer vehicles even have a 7th and 8th gear in their transmission for high speed efficiency. When your car is under acceleration, gear selection is important to maximize the amount of torque applied to the wheels. Since it is the job of the transmission to act as the power plant transfer between a vehicle’s engine and the wheels, the type of transmission a vehicle is equipped with can largely affect vehicle acceleration, efficiency and performance. For this reason, there are many different types of transmissions that are used in different types of vehicles. Within modern manual and automatic transmission systems you will find intricate moving parts including a number of interconnected gears, input and output shafts, and either a clutch in a manual transmission system, or a torque converter in an automatic transmission system. In a manual transmission the driver uses a clutch and gear shifter to manually change the gears of the vehicle as the rpms of the vehicle increase. In an automatic transmission a system of planetary gears automatically shifts through gears as a vehicle accelerates and decelerates. By shifting between taller and shorter gears as a vehicle accelerates and decelerates, the transmission keeps the right amount of power (torque) flowing back and forth between the vehicle wheels and the engine. Inside both manual and automatic transmissions you will find transmission fluid. This transmission gear fluid is especially important in automatic transmission vehicles where pressurized transmission fluid is needed to hydraulically pressurize and shift gears automatically. A manual transmission is manually operated by the driver using a stick shift (gear selector) and clutch.